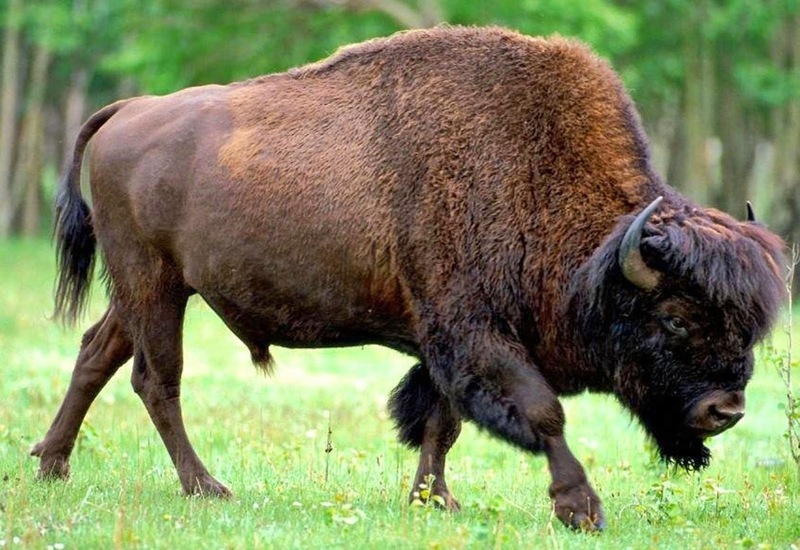 Western Whiskey Gazette (WWG): Buffalo Dierssenicus - Updates! According to Wikipedia; The American bison (Bison bison), also commonly known as the American buffalo, is a North American species of bison that once roamed the grasslands of North America in massive herds, became nearly extinct by a combination of commercial hunting and slaughter in the 19th century and introduction of bovine diseases from domestic cattle, and has made a recent resurgence largely restricted to a few national parks and reserves. Their historical range roughly comprised a triangle between the Great Bear Lake in Canada's far northwest, south to the Mexican states of Durango and Nuevo León, and east to the Atlantic Seaboard of the United States (nearly to the Atlantic tidewater in some areas) from New York to Georgia and per some sources down to Florida. Wikipedia fails to mention a rare subspecies, (Buffalo Dierssenicus). 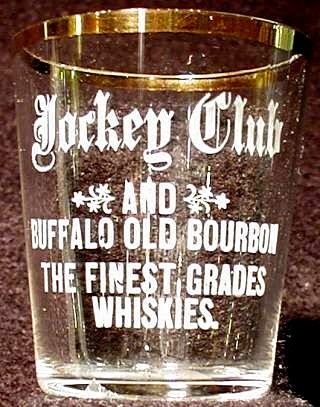 Also known as the Buffalo Old Bourbon. Far rarer than the commonly seen brown shaggy beast, many folks have never encountered one. And for good reason. Based on recent research, it appears that this species may have only existed for a scant few years; 1890 - through perhaps, 1894. (Update 10/14; we now have evidence that the brand was still being sold as late as 1908 - see footnote at close of article). All kidding aside, John Thomas stated that George Dierssen entered the wholesale liquor market in Sacramento beginning in 1896. You can toss that out the window. Here are the facts, based on Sacramento directories and newspaper advertisements. George (Geo.) E. Dierssen first appears on the scene in the 1880 directories. He is listed as a clerk at D. (Diedrich) Dierssen groceries, located at 900 L St. Sacramento. Although I could not document it, I'm assuming that they were brothers. As was common practice, they resided on the premises. The 1884 directory reflects a move to the SE corner of Ninth and L. Again, both are residing at the address listed. By 1887, it appears that Geo. was a partner in the firm, now called D. Dierssen & Co. Their business appears to have grown as they are now advertising as selling both grocers and provisions. And they were apparently becoming financially successful as well, residing at 830 L, instead of the same address as the store at 9th & L.
By 1889, the ad is larger, and Dierssen & Co is now advertising as both grocers and commission merchants. A slight change of address is noted at this time; 828 - 830. (probably a residence added on to the business side of the structure at the "old" 830 address, since they again show both as one in the same). The 1893 phone directory, for the first time, contains a reference to wines and liquors. Take special note of the phone directory which lists separate phone numbers (121 & 124) for the grocery vs. the liquor side of the store. Interesting.. Location Update; 10/14. 900 L St. is actually on the corner of 9th & L. Hence, the locations are one in the same. 830 L. St. is / was directly across L street (also on the corner). On March 29, 1890, the following notices appeared in the Sacramento Daily Union. Hence forth, for several months, George E. Dierssen disappears under the radar. Had there been a falling out between the two brothers? A couple of weeks later, on Dec. 13th, another revised ad with different artwork appeared. Again, it advertised Geo. E. Dierssen's new sole agency for Buffalo Old Bourbon. Shortly after the brands introduction, embossed bottles began making their way to market. 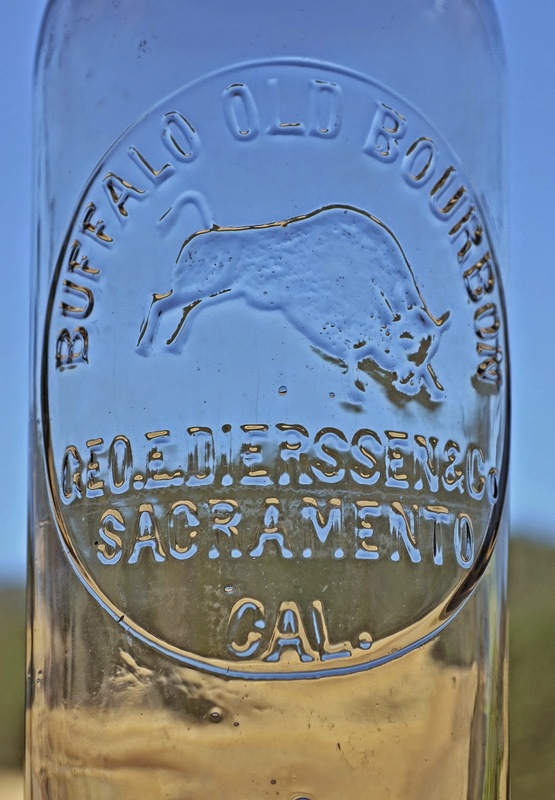 The bottles were embossed with the bucking Buffalo, but headed in the opposite direction when compared with the artwork, and minus the hogshead (barrel). The bottles were made of clear glass. As was common ca. early 1890's, some were blown domestically (probably S.F.) with tooled tops, and will turn amethyst when exposed to UV light, while others were blown in Germany, have applied tops and will not turn amethyst. A myriad of different ads pushing Buffalo Bourbon appeared in 1891 and 1892. Then on February 27, 1892, all advertising suddenly came to a mysterious and grinding halt. Was George Dierrsen ill? Had he fallen on hard times? Had the distillery burned down? Had another liquor dealer challenged the legitimacy of his sole agency in court? The possibilities were endless, but the fact remained, there was no advertising whatsoever appearing anywhere. The mystery was short lived. On June 24, 1892, an advertisement appeared in the Sacramento paper, followed shortly thereafter, on July 2, 1892 with another. And so, two mysteries were solved. No, George and Diedrich Dierssen had not experienced a falling out. Much to the contrary, they were both in bed together with the plan to take over where G. W. Chesley had left off when he died. And the obvious answer to the lack of advertising, is that George was simply preoccupied with repositioning himself once Chesley's brands were acquired. Good friend Steve Abbot has a bill head dated June 4, 1894 showing that Dierssen was the successor of George Chesley and that he had carried on with some of Chesley's brands. Advertised on the bill head are Dierssens BUFFALO OLD BOURBON, plus Chesley's old GOLDEN THISTLE, GOLD MEDAL, WOODWARD OLD BOURBON,JOCKEY CLUB, and SILVER STAR brands. This bill was made out to PELICAN CLUB. As I've said before, this old paper is priceless when piecing together the pieces of a 140 year old mystery. Note the new 719 J St. address. With the exception of an occasional charitable gesture to the tune of a donated box of crackers for the infant asylum, a $2~ donation to "open air concerts", a bid award to the County Hospital to supply whiskey (strictly for medicinal purposes I'm sure) and some political hobnobbing, George once again managed to shirk the spotlight. And again, nothing in the way of advertising for either Buffalo Old Bourbon or any of his recently acquired Chesley brands. The next mention that appeared may be something of a clue as to what was going on. It was a 2 line item award by the Sacramento County Supervisors dated 22 May 1897 to Geo. Dierssen for... groceries. Was the shine wearing off the wholesale liquor apple for George or was this simply a way for the hospital to reimburse for liquor while keeping public "need to know" out of the equation? The rest of 1897 and the early part of 1898 show the occasional charitable gesture, bid award for hospital groceries, lawsuits / court cases, but again nothing in the way of wholesale liquor. An article in the lost and found section dated 20 August 1898 reveals that he was indeed still in business. One can't help but wonder what the "good reason for selling" was. By September 7th, less than a week after it's initial appearance, the ad was gone. An article published on July 25, 1899, tells the rest of the story. It would appear that for whatever reason, George had "seen the elephant" in September 1898, sold out his liquor interests, and in the ensuing nine months had reincarnated himself as a retail grocer once again; sans of the demon liquor. That single insertion in this small byline marks the final page of the final chapter, and on July 25th, 1899 Geo. E. Dierssen vanishes from newsprint for eternity. But did he vanish after all? Update 10/14. Steve forwarded a billhead clearly showing that Dierssen was still selling Buffalo Bourbon as late as 1908. Looks like our time frame opened up considerably. Of course there's always the question surrounding Thomas's contention that "the family had not been very proud of George being in the liquor business", and "took great pains to destroy all the bottles, signs, etc. that they could find related to the company". 3) Amber tool top - like the amber Fenkahusen Pioneer Bear - just flat rare - one of the most appealing of the amber tooled pictures in terms of appearance. 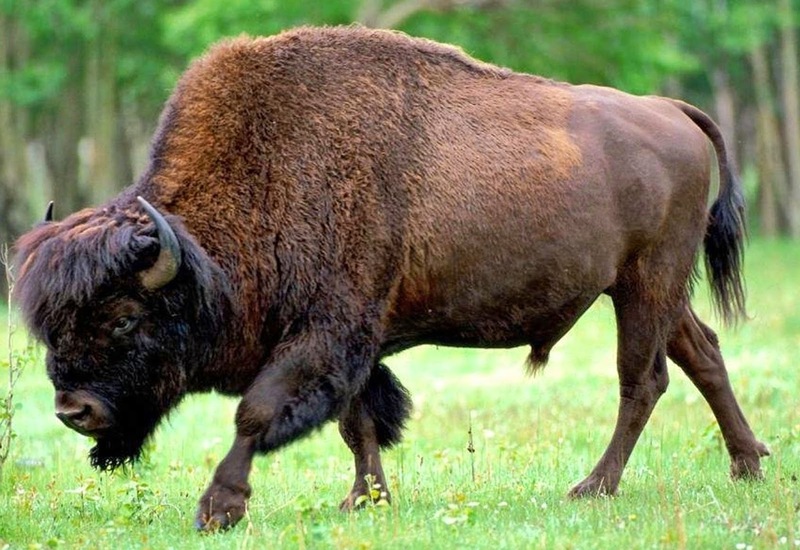 Great piece of research on the Buffalo brand and George Dierssen. I would like to buy a clear, can you point me in the right direction possibly?